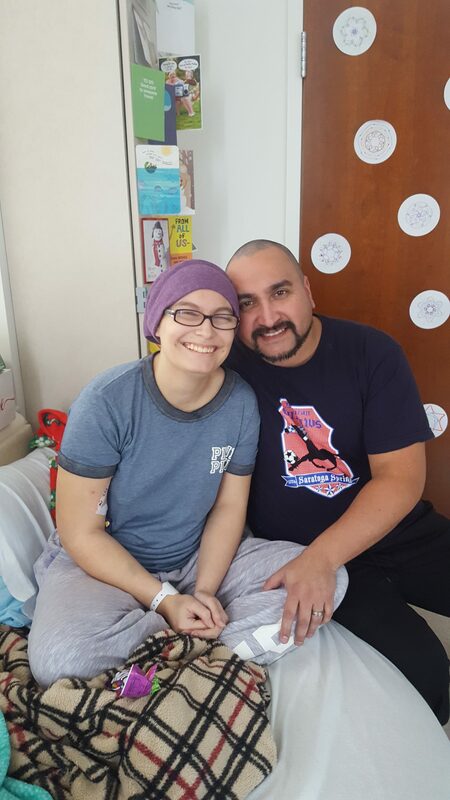 In October, my daughter Natasha was diagnosed with severe aplastic anemia. She was in Albany Med and they decided the best course of treatment for her was a bone marrow transplant. We did find out her little sister Sophie was a 10 out of 10 match. Wonderful news for us. 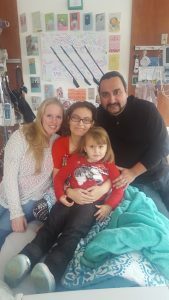 Natasha had her care transferred over to Strong Memorial in December and that’s when we started staying at Ronald McDonald House. They told us to expect to stay at least two months. When we arrived, we were introduced to Charlie. We had never been to RMHC and really didn’t have any clue as to how it was run or how anything happened. Charlie gave us a big tour so we could feel at home and when we came back, we knew what we were doing. He showed us around the kitchen, where we could store our own food, and where the laundry room and our room were. He just made us feel comfortable. It was so nice to come back from the hospital and not have to worry about what you’re going to make for dinner. You have so many other things running through your mind and are worried because you had to leave your child, so it was just nice to not have to think about the everyday normal chores. It was nice to be able to just relax for a minute. Ronald McDonald House became our family—Cher, Charlie, Bonnie, Stefanie and Pat are just a few who really helped me. They always asked how I was doing and seemed to know if I was having a bad day. They would give me a hug and give me a pick-me-up. They were also right there when the good news came and celebrated with us. When Natasha got to come back to the House with us, she formed a bond with them also. They would come up and give her a hug every day and ask her how she was doing, which made her feel special. Cher and I would have our coffee every morning and joke around. I would help Bonnie clean up the kitchen every night. We always had to say goodnight to Bonnie, so we would come up and give her hugs. They became our family, they really did. If I had to describe Ronald McDonald House in one word, it would be loving because of all the people who fill that house—the volunteers and even the families. Getting to know the other families, sharing stories, just being around other people who are going through some of the same stuff you are and being able to rely on one another. It’s very loving. It was bittersweet having to leave RMHC. We missed home, but at the same time, having everybody at Ronald McDonald House, somebody to come home to, a hot meal, everybody would celebrate with you on your good days and empathize with you on your bad. It was a home away from home for us, which was what we truly needed since we live four hours away. Our experience put a new perspective on what Ronald McDonald House does, and we truly understand how much they help families. RMHC means everything to us. We’ve started collecting bottle caps at home and plan on doing dinners at the local Albany Ronald McDonald House to try and give back for everything they gave to us.